For 1700 years, the dead city of Pompeii lay beneath metres of ash, pumice and soil. But 300 years ago, like a phoenix from the ashes of Vesuvius, Pompeii rose again. 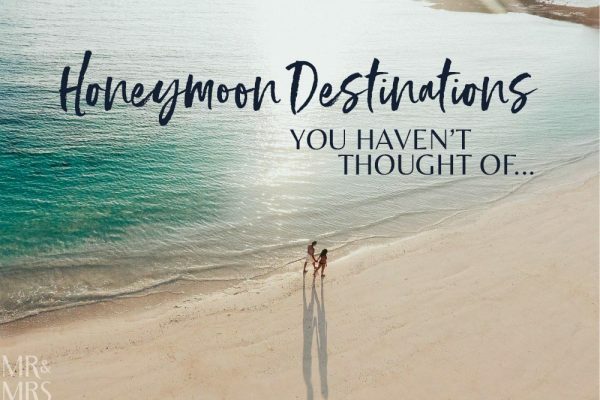 It’s now one of the most incredible places to visit on the planet. I’ve always wanted to go to Pompeii. It’s one of those places that has triggered my imagination since I was a kid. 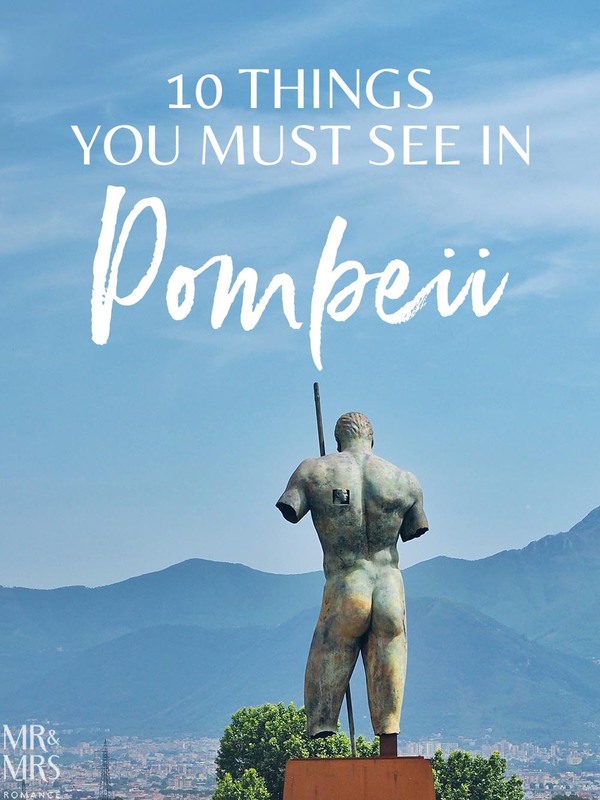 Of all the ruins of the ancient world, Pompeii is the one that allows you to see the world as it was almost 2000 years ago. Buried in 79AD when Mount Vesuvius erupted, Pompeii disappeared from maps and memory. But in the early 1700s, architect Domenico Fontana discovered remains of settlements around Pompeii. 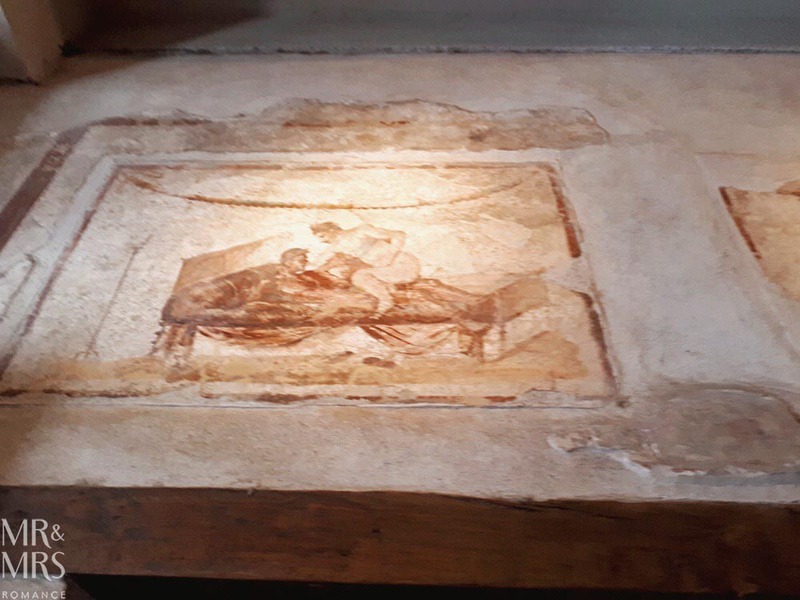 From 1748 right up to now, archaeologists have been piecing together Pompeii – both its streets and its history. Exploring this city-sized time capsule is one of the most amazing travel experiences you can have. 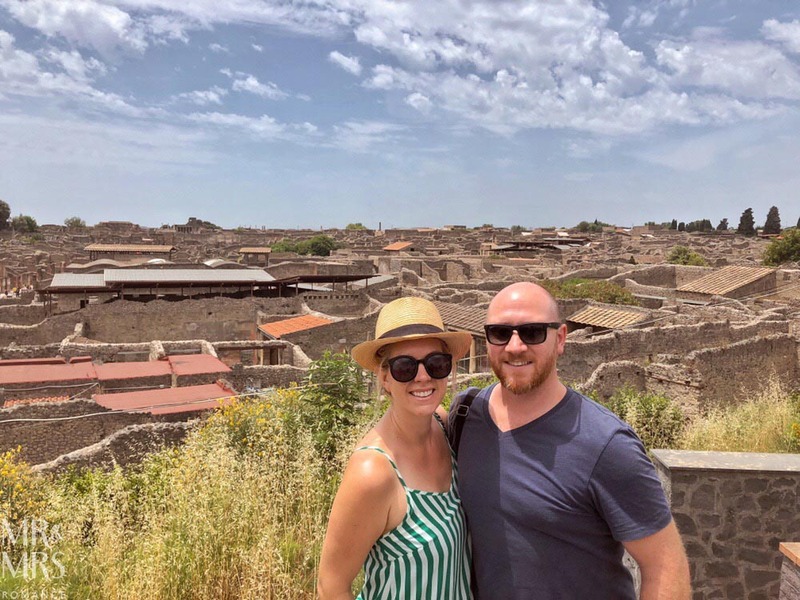 Click here to watch our video of Pompeii on YouTube. 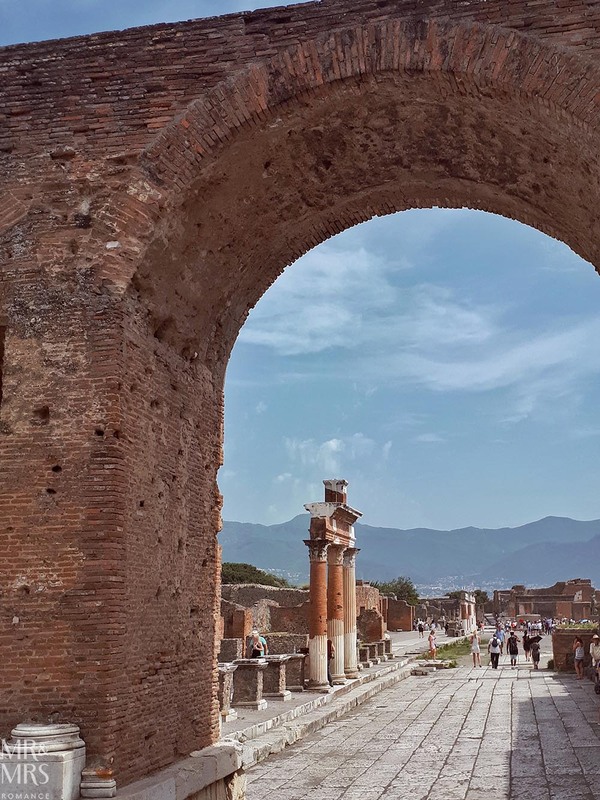 Pompeii is set out in 9 different ‘regions’, running like an anticlockwise spiral from Region I the southwestern edge right round to Region IX in the middle of the city. Most people enter from the southwestern side into Regions VII and VIII, so the following tips start from the main entrance. A wide, paved piazza surrounded by giant columns, the Forum was the heart of trade in Pompeii. It was probably the busiest part of the city. The impressive statue of Apollo dominates the space. A little house not far from the Forum and probably the most crowded house in Pompeii (then and now! 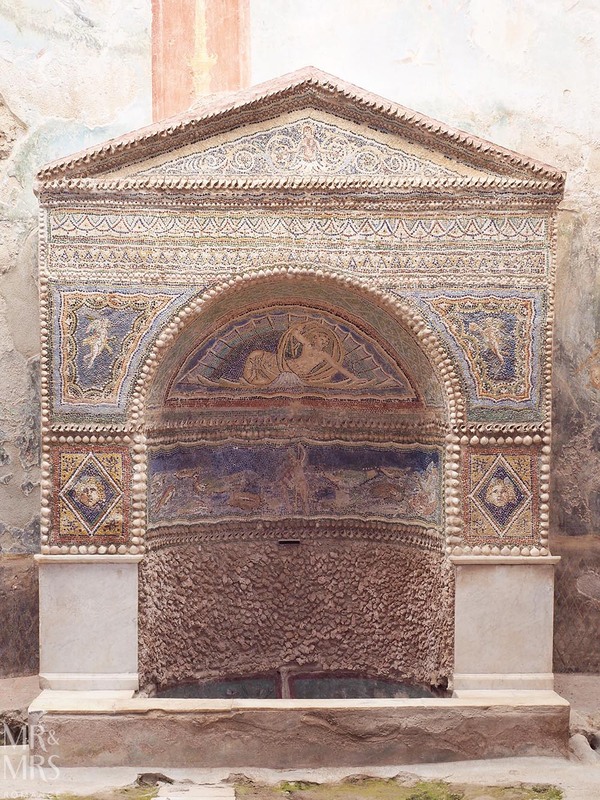 ), the walls have ‘menus’ of services for sale in frescos that are amusingly well preserved. 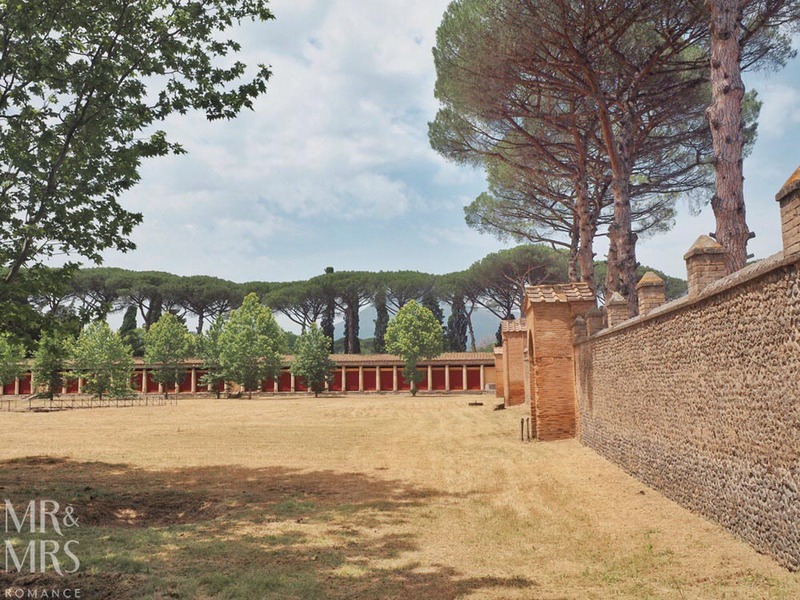 On the eastern end of town, the large amphitheatre was a place of games and gladiatorial shows. The tiered seating could hold around 2000 people. Next to the amphitheatre is the Grand Palace – a beautiful (and quiet) walled park surrounded by columns. This was an exercise park for young people and perhaps a place for sport. 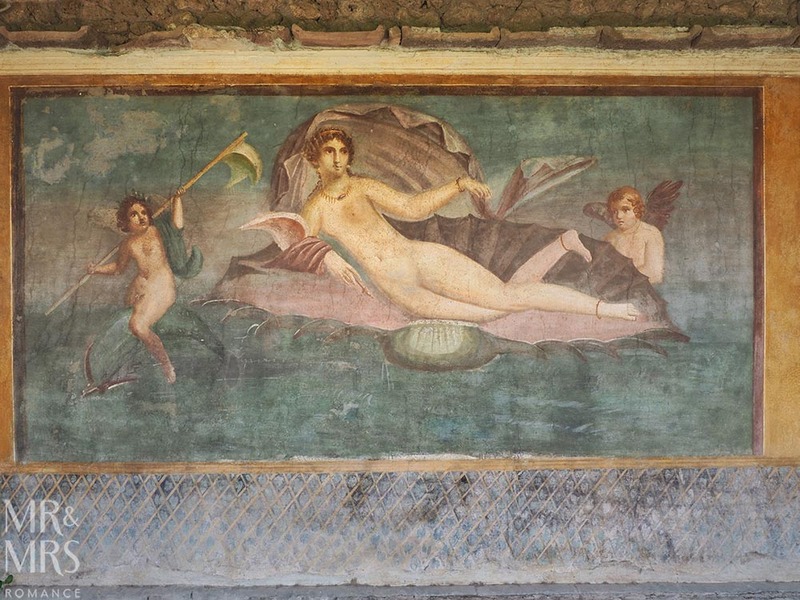 Not far from the Amphitheatre, Casa della Venere in Conchiglia has beautiful frescos (one of which is of Venus in a giant shell) and manicured gardens. 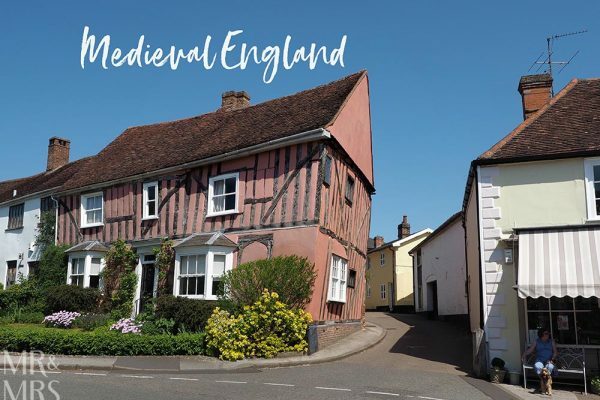 The houses along this street are magnificent and worth looking at. Along the south-eastern end of the city, much lower than the rest of the ruins and with hardly anyone else around, the cemetery here has tombs and mausoleums to the wealthy. 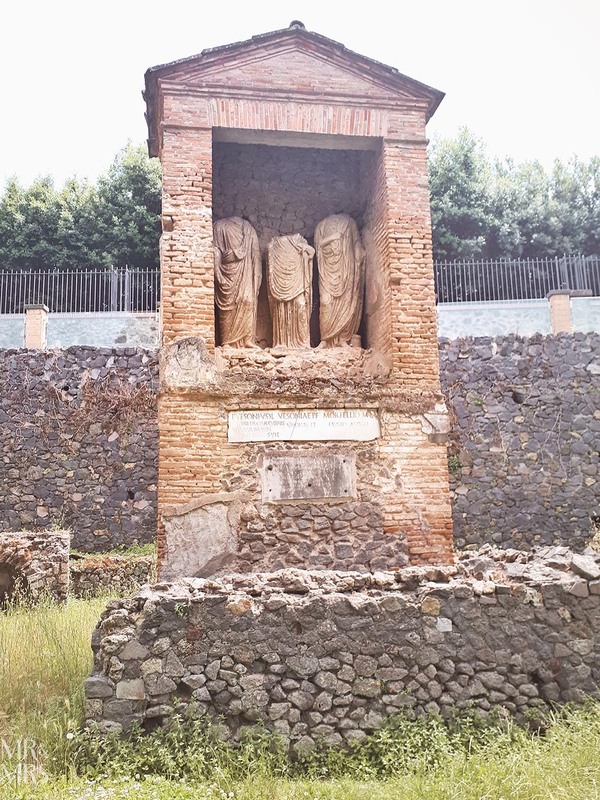 Even better preserved than the town itself – perhaps because of its protected position – the Nocera Cemetery is a fascinating insight into Pompeii society that’s often overlooked. Coming back into the city to Region I, there are hundreds of houses and ruins to explore as you wander back towards the entrance. Perhaps not the most romantic of settings, but for some reason one of the only toilet blocks on the site has the best view! Elevated high above most of Pompeii, the vantage point lets you see so much of the city. There is also a picnic spot here and a restaurant, though it wasn’t finished when we were there last. A complex of rooms around a central atrium lawn, this is a beautiful part of the city. Peaceful and relaxing. It’s as if the leisure of this place continues on! Next door to the Stabian baths, Casa di Sirico is now home to the remains of one of Vesuvius’ victims. The plaster cast of the man is incredibly detailed and brings it home how real this disaster was. Near the main entrance, the antiquarium is a huge collection of amphora and more delicate artefacts. They were removed to save them from weather, exposure, theft or vandalism (which boggles the mind). There are rows and rows of pots, vases, plates and sculptures. There are also plaster casts of victims in glass cases here too – even someone’s pet dog, which is a bit sad. Leaving this part till last gives the exhibit and the rest of Pompeii a bit of context and scale of what this city must have been like. 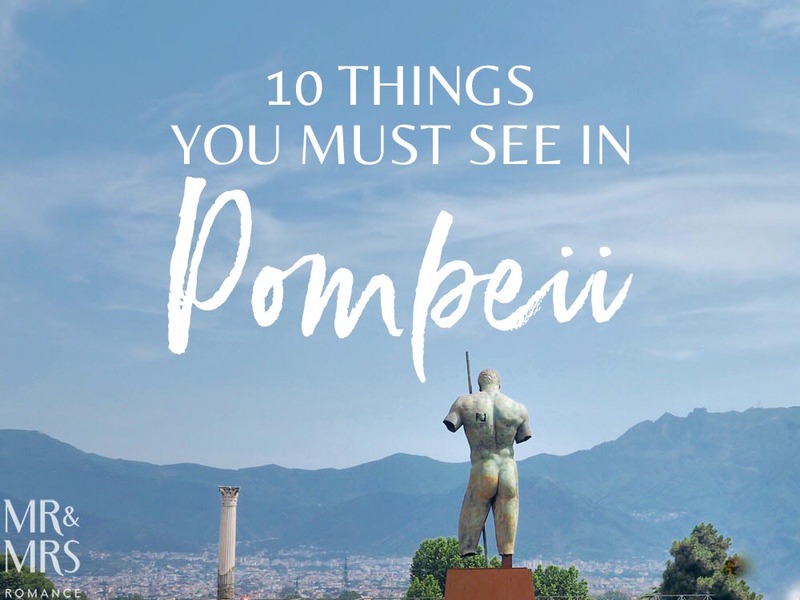 Look out for temporary exhibits around Pompeii. Staff will occasionally open different buildings to the public for an hour or so. 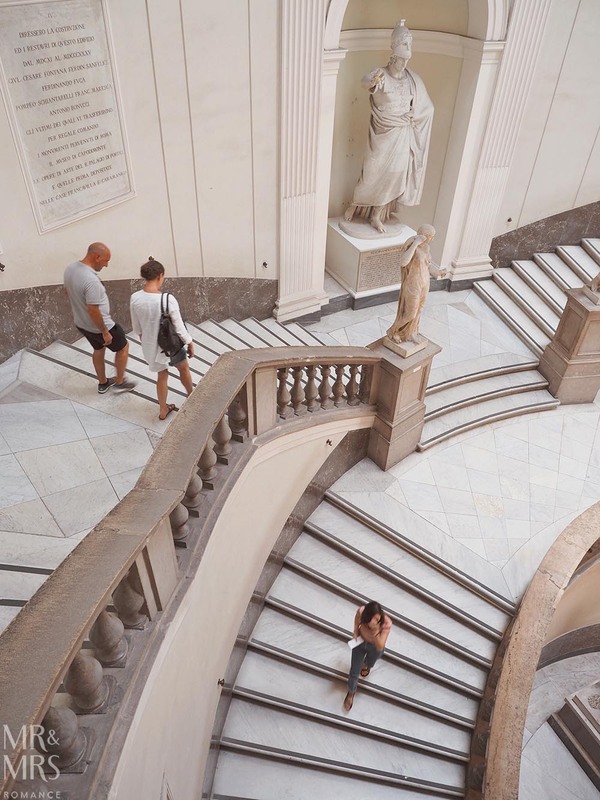 The National Archaeological Museum of Naples is well worth a visit as it houses many of the original frescos, artworks, sculptures and amphora. 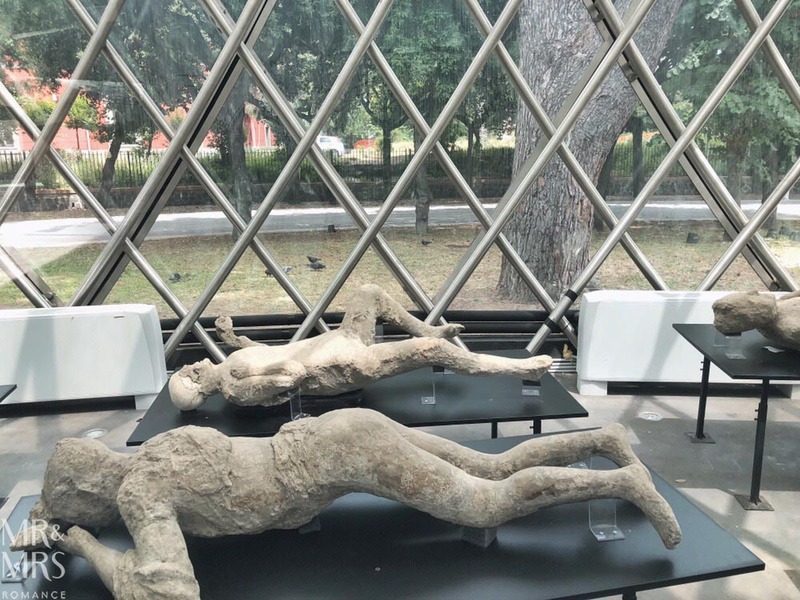 It’s also home to the actual remains of the victims retrieved from Pompeii. The ones on site are plaster casts of the bodies. 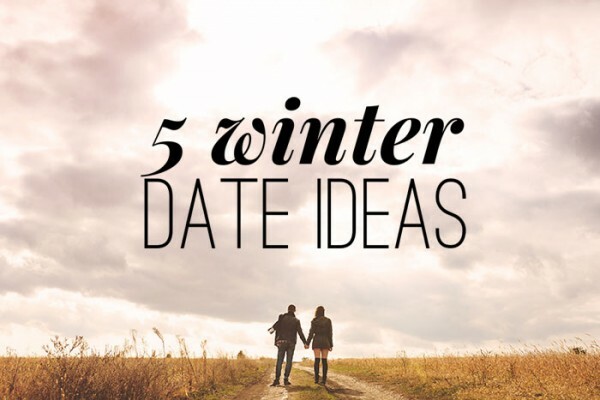 But do this on a different day or you’ll definitely burn out. 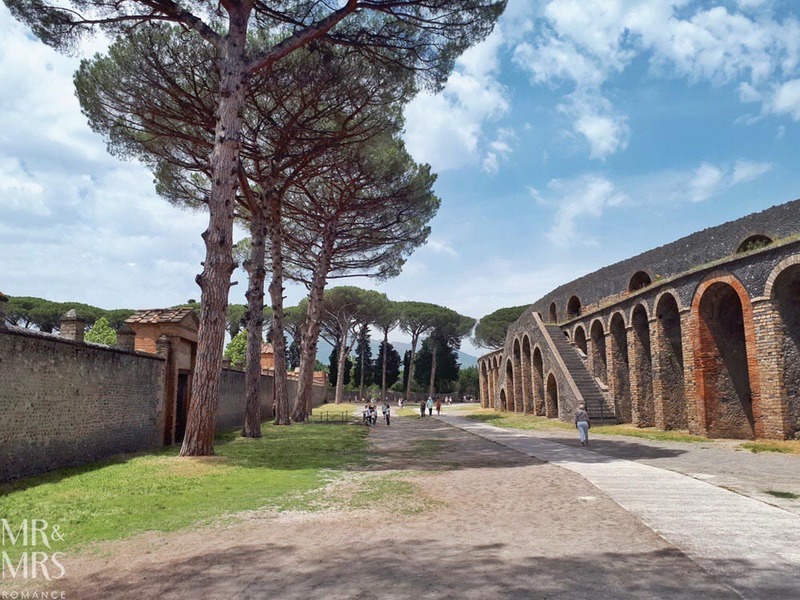 Herculaneum – one of the other major cities to bear the brunt of the 79AD volcanic blast – is said to be worth a visit too. 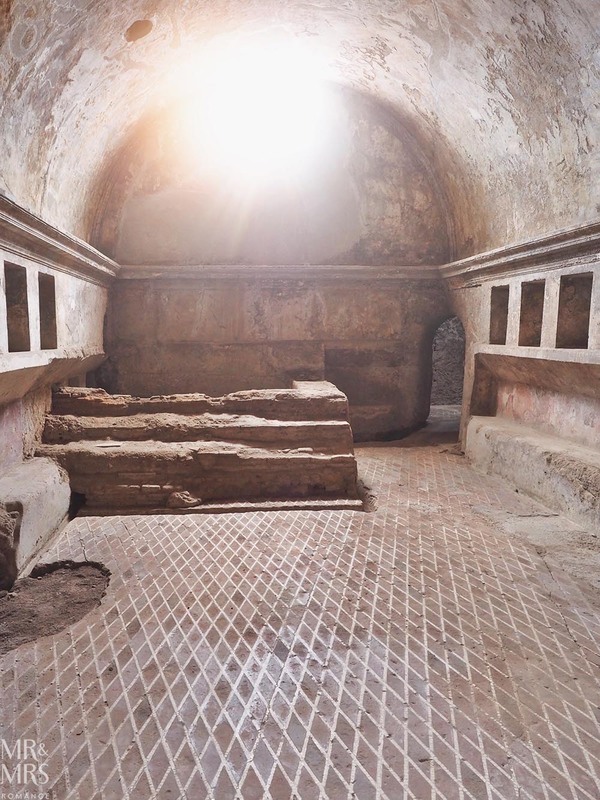 We’ve never made it to Herculaneum, but we’ve heard it’s even better preserved than Pompeii. Naples itself is a living museum. In a way it feels a bit like Havana’s angrier big brother, with its crumble grandeur and fascinating history. 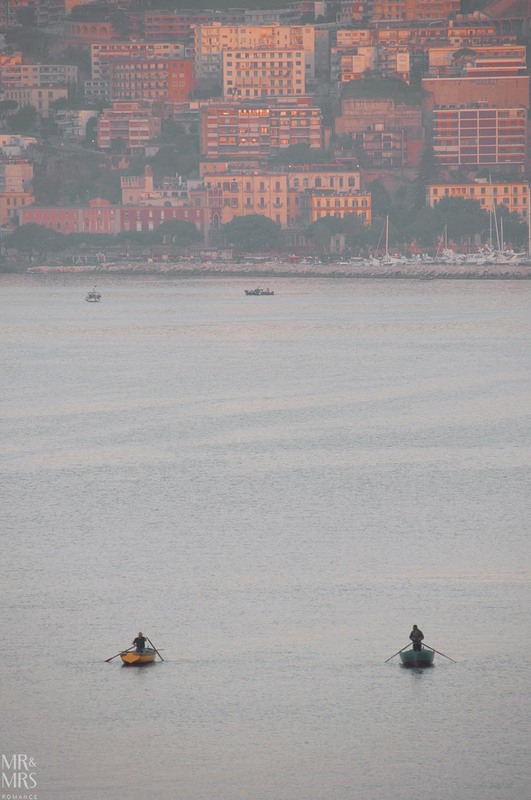 Exploring Naples is an absolute must, even if you only have time to walk around for a day. It’s not a dangerous city to explore, in spite of its reputation. In fact, here are all our reasons why you shouldn’t be afraid to visit Naples. Walking around Naples, you get a glimpse of what Pompeii may have been like in its prime. Perhaps the echoes of that ancient place still resound in this great city of the south. Perhaps it’s here that the spirit of Pompeii lives on.